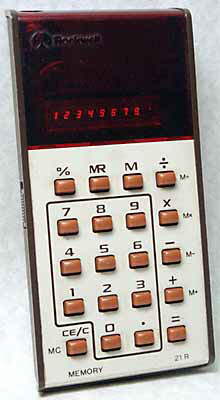 Chip is Rockwell A5300PD, here date coded mid-1975. 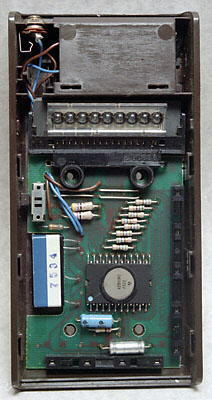 Inside, showing the circuit board. The LED module with the moulded-in lenses is towards the top, while the Rockwell integrated circuit is towards the bottom.